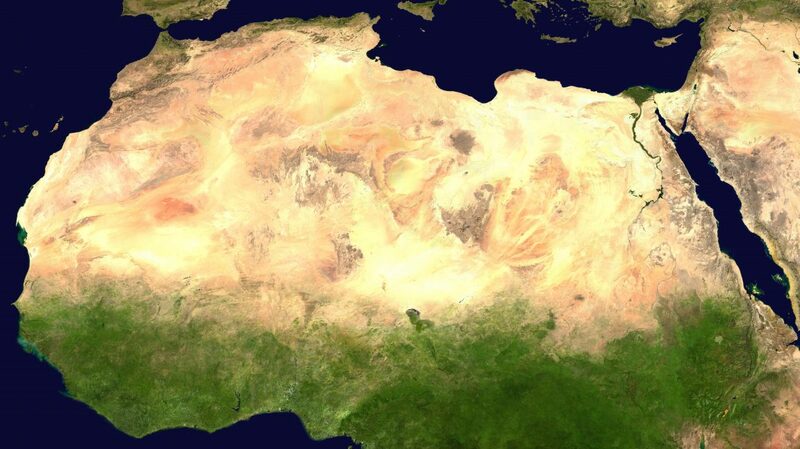 The Sahara is the world’s hottest desert, the third largest desert after Antarctica and the Arctic. At over 9,400,000 square kilometres, it covers most of North Africa, making it almost as large as China or the United States. The Sahara stretches from the Red Sea, including parts of the Mediterranean coasts, to the outskirts of the Atlantic Ocean.